We have been having fun crafting the last couple of days. 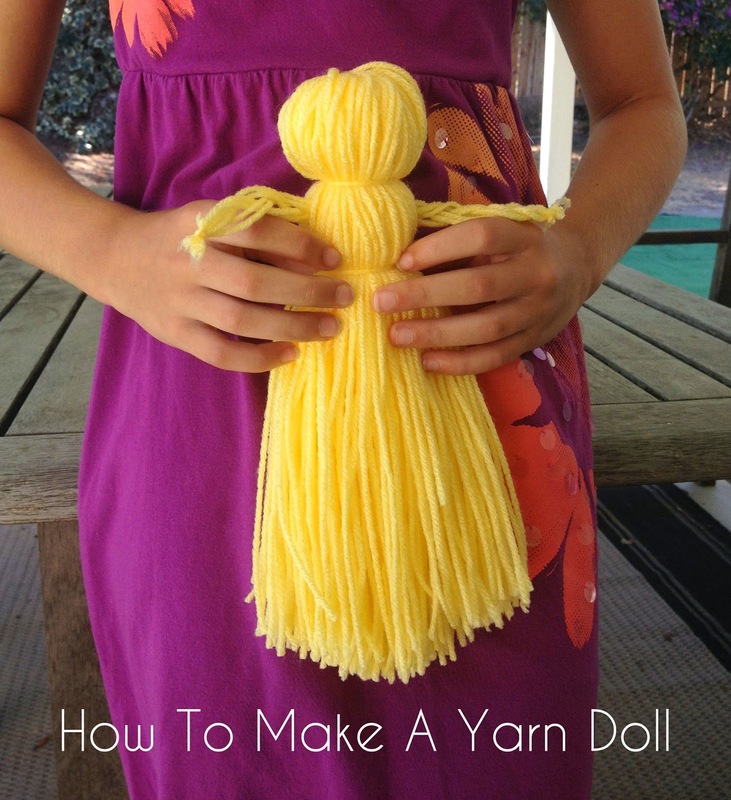 I brought out a few skeins of yarn and I taught my daughter how to make a yarn doll. 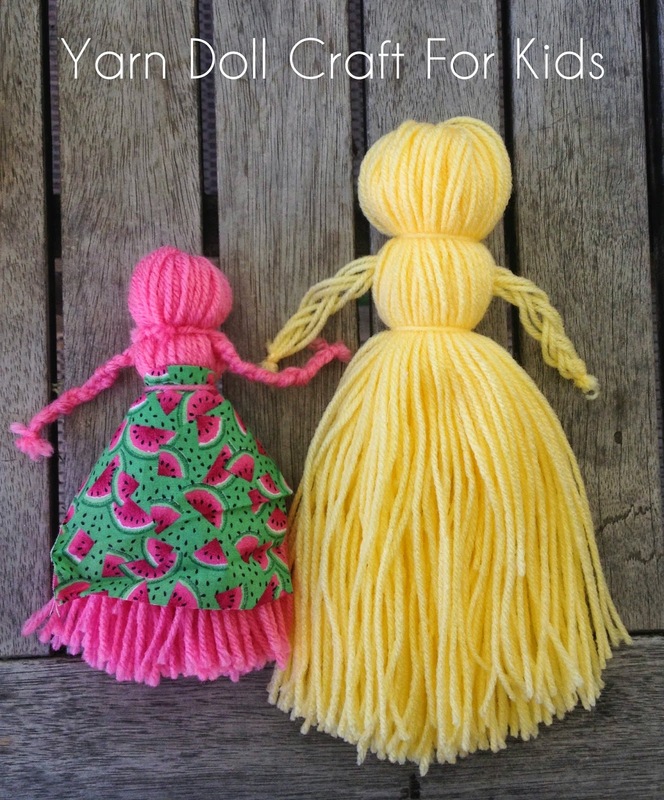 Yarn dolls are fun and easy to make. They are a great craft for kids and a great craft for rainy days (or snow days too). 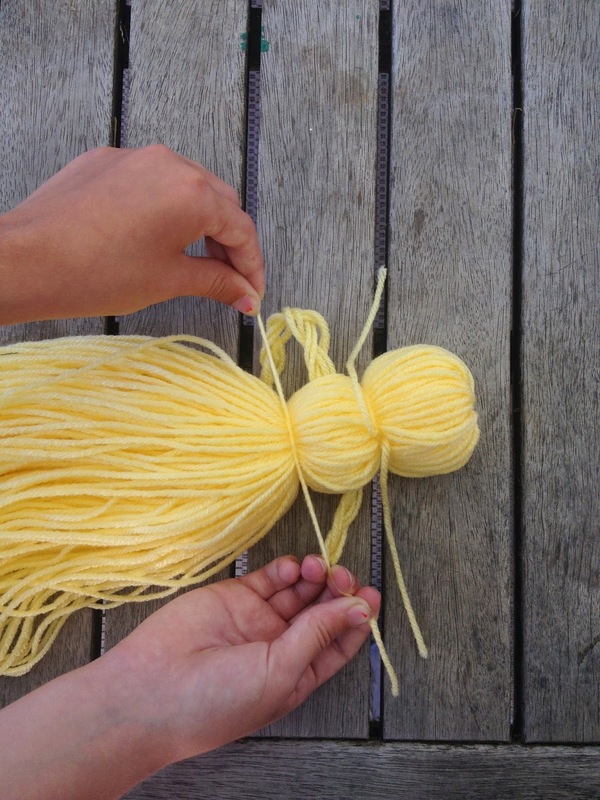 And it was a bit of a "light bulb" moment when I realized my corn husk doll tutorial would work great for this simple yarn doll craft. 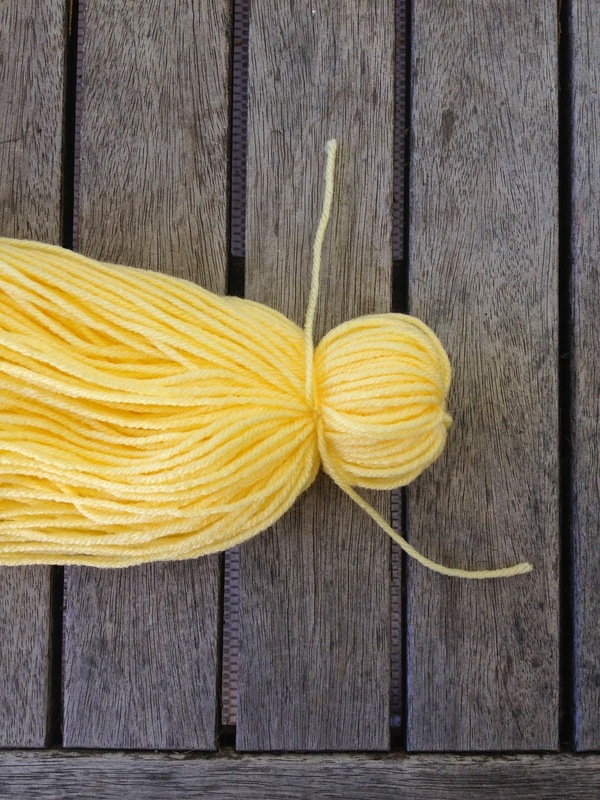 Step 1: To make your yarn doll craft, start by unravelling a generous section of yarn, making sure to keep it separated. You can do this by wrapping it around a partner's open hands as shown below. We wrapped ours around about 75-100 times. If you don't have a partner to help you, you can also wrap it around the back of a chair. Or using your arm, you can wrap it around your arm, from your elbow to between your thumb and your index finger. Step 3: Flip one side over the other to make what resembles Cousin It's (from the Addams Family) hair. 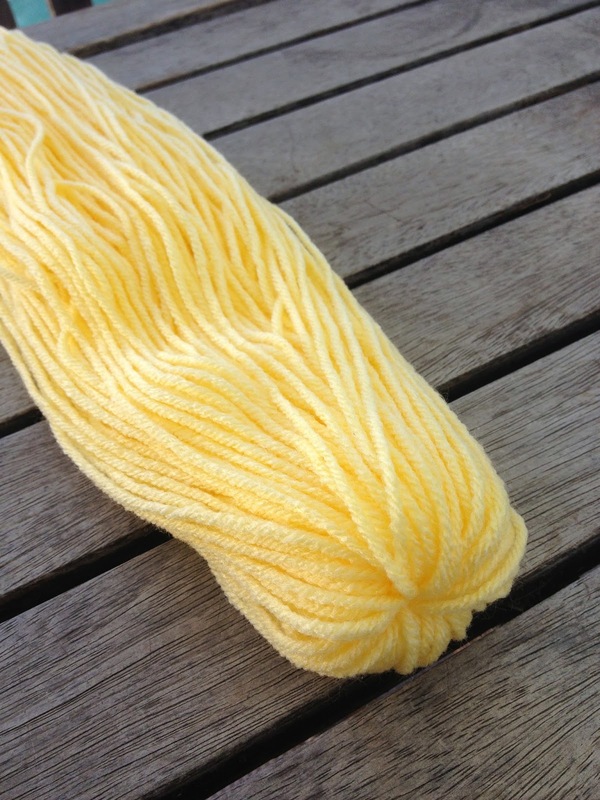 Step 4: The next step in making your yarn doll is to create the head. Tie off a generous section at top of the closed section that you just split. Tie into a knot, making sure it is nice and tight. 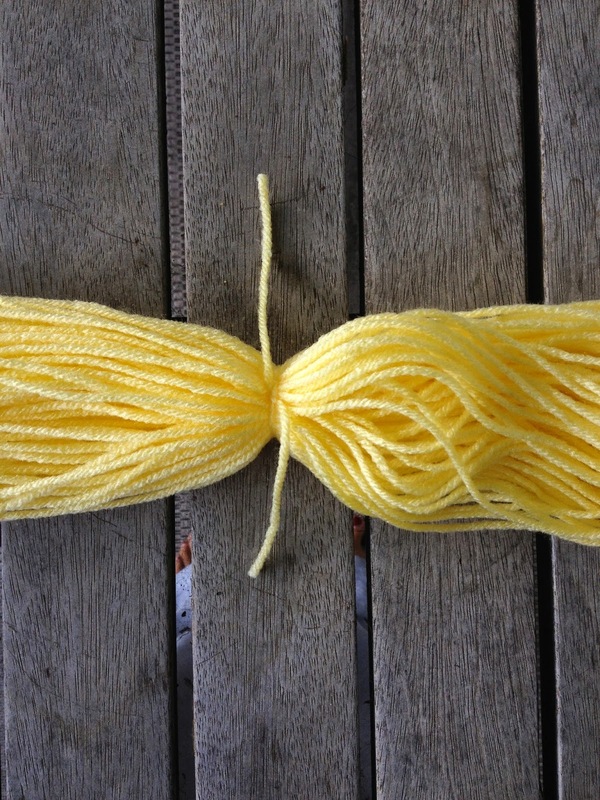 You can snip off the excess yarn now or later. (I save it for later in case I make a mistake and have to start over). Step 5: Pull out 6 strands of yarn from inside the body on each side to make the arms. 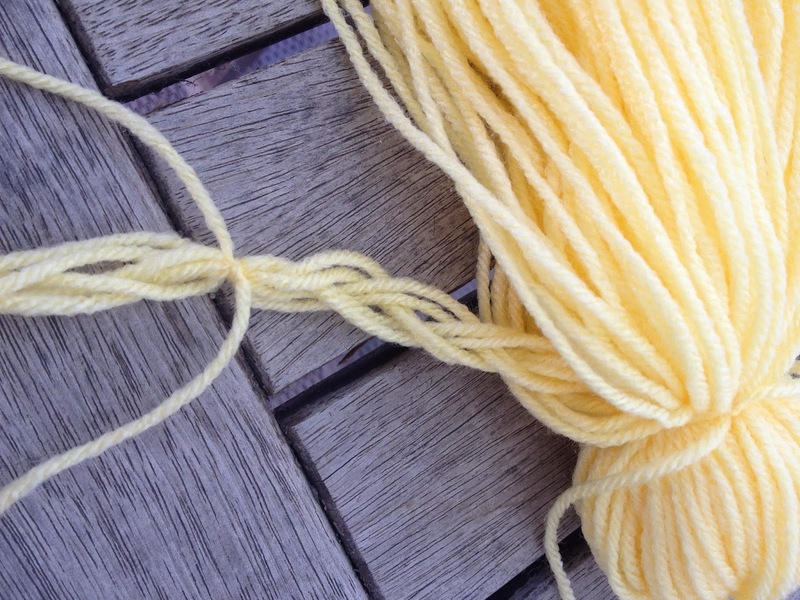 braid the 6 pieces of yarn to your desired arm length. 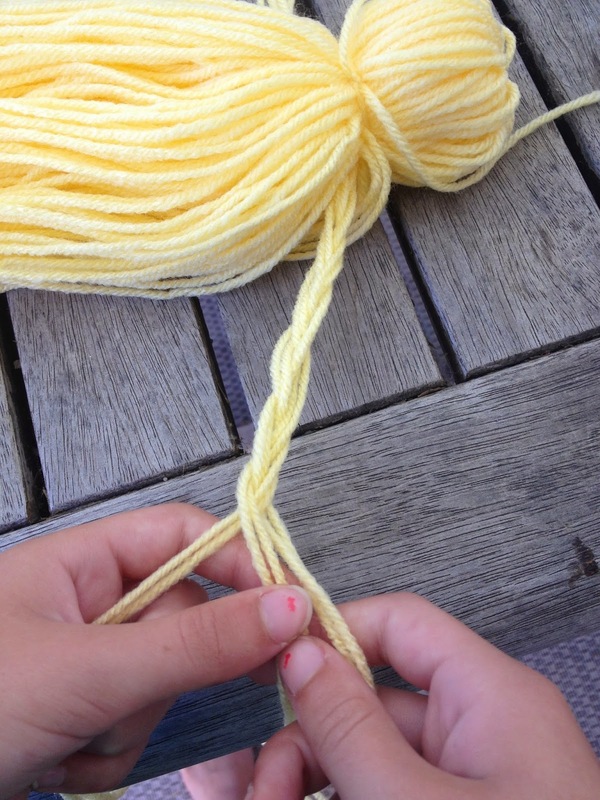 Step 5: Tie off the braids with another piece of yarn and cut off the excess to make little hands. Step 6: The next to last step in making your yarn doll craft is to tie off a waist. Tie off a section below the arms just as you did the neck. Make sure to make it a knot and tie it nice and tight. Step 7: The final step is to make a skirt for your yarn doll by cutting the bottom. Use your judgement in how long your skirt should be. Ours is about 7.5 inches long from waist to end. Optional: You can add a little scrap piece of fabric to your Yarn Doll to make an apron or skirt. 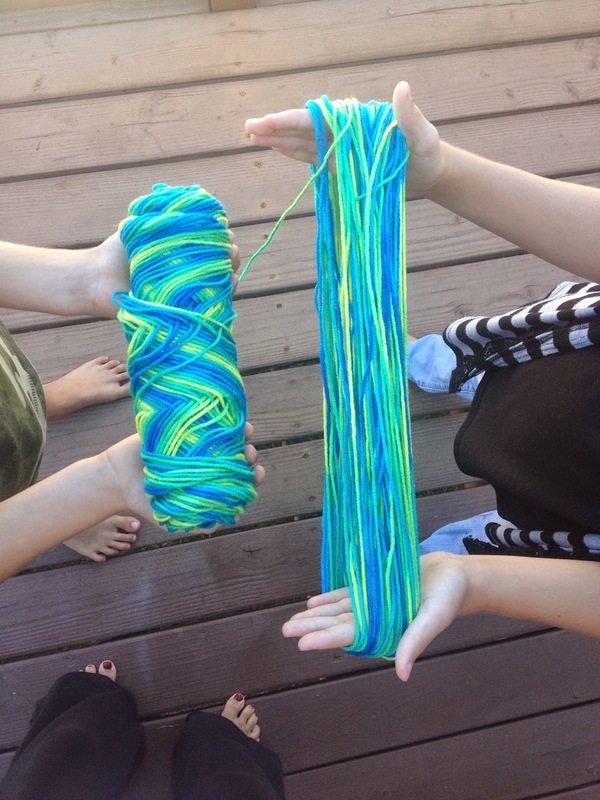 As you can see, depending on how long you wind your yarn in the beginning, your yarn doll craft can be different sizes!! 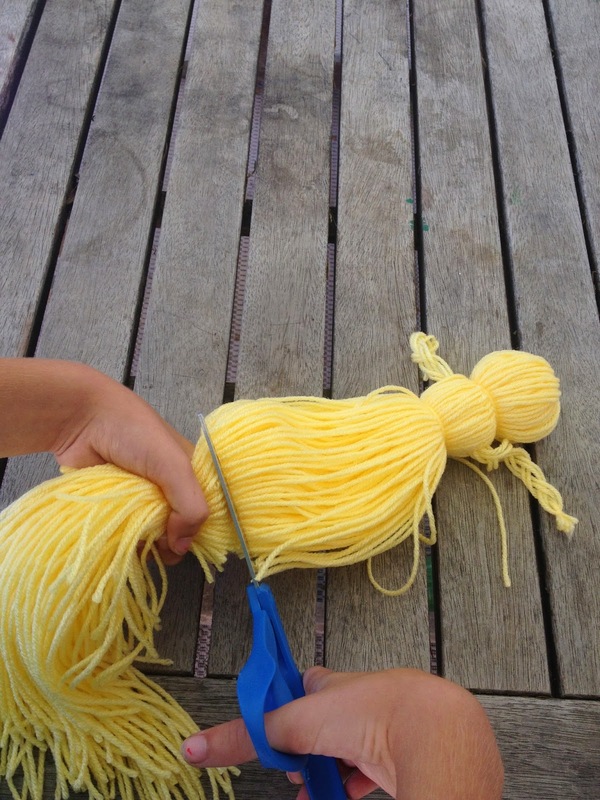 Have fun and enjoy playing the yarn doll you handmade yourself!! So simple and cute! I'm sure my girls would love making these! Thanks Sandy! I would love to see photos if you end up making them! My grandmother loves these for Halloween!